Aval in tamil, poha in hindi and rice flakes in english is also called flattened rice or beaten rice. This is an easily digestible snack as well as a whole meal. 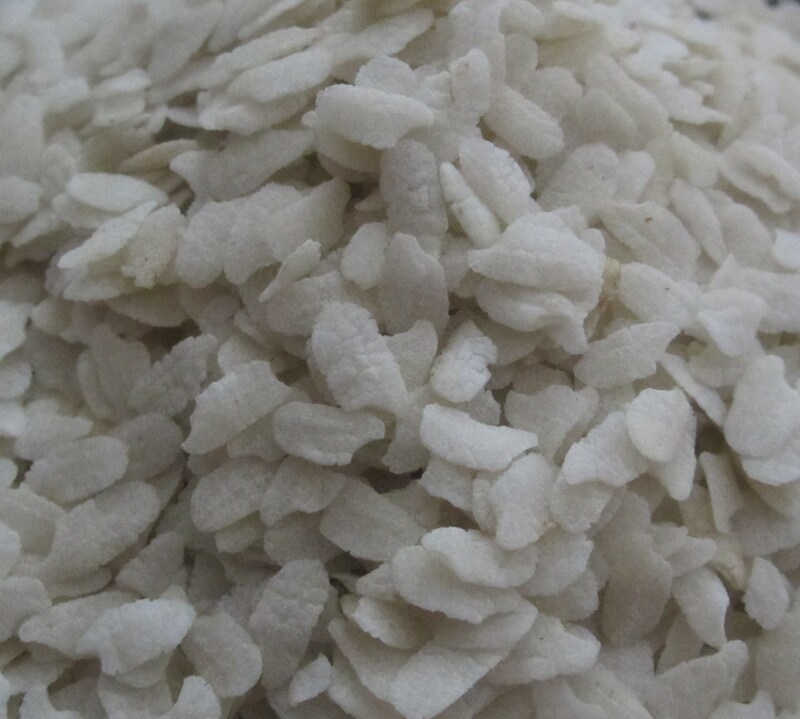 Aval can be soaked in water or milk to make it softer. When soaked it swells to nearly double the quantity. It can be an evening snack with sugar or jaggery or a breakfast dish in the form of uppuma or even aval dosai/dosa. When I host, I make aval sarkkarai pongal as a dessert served hot. Karuppatti is another form of unrefined sugar made from palm sap. It is darker in colour than vellam and is traditionally considered healthier. I remember when we went to our grandparents’ house for vacation, elders use to have karuppatti kaapi/palm jaggery coffee or kadunkaapi or black coffee with palm jaggery. In these fast paced modern days, usage of vellam or karuppatti is reduced to desserts. 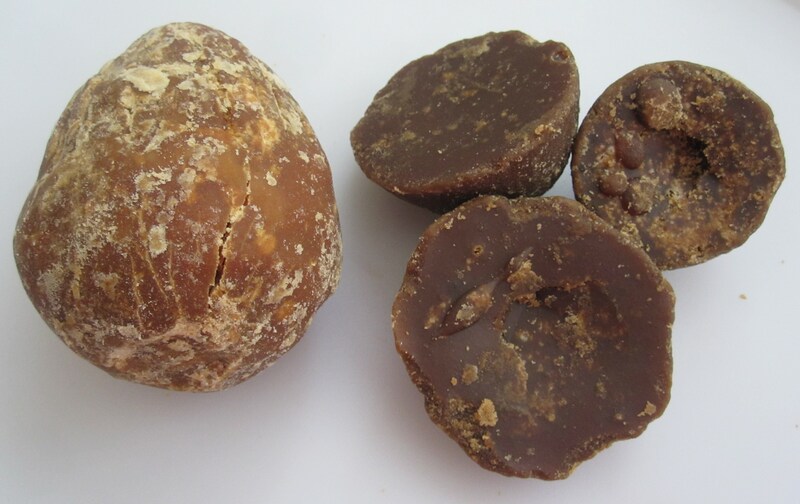 There is a real health need to go back to the old tradition of using jaggery in our day-to-day eating habits. 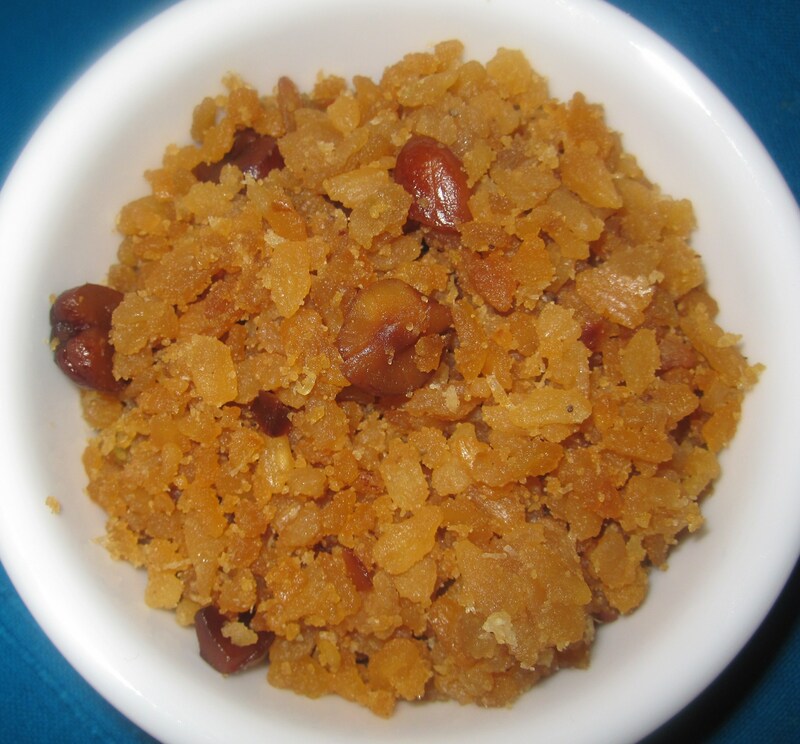 Aval Sarkkarai Pongal is rice flakes or poha halwa made with jaggery. Palm jaggery or karuppatti can also be used. Pour it over the finished aval pongal and mix well. 250gms jaggery with 2 tsp grated ginger or dry ginger powder and 1/2 cup water, can be boiled, strained and stored in the fridge for even 3 months. Usage of coconut and ghee can always be altered. good to hear from you! we miss you all too.. especially the kids.. each post..i know there is someone in nigeria reading mine. Dear madam, very much impressed y reading the recipe.Definitely I am going to try this tasty & simple dish immediately. May god bless u for sharing such useful informations.